The early morning is warm, breezy, overcast. You carry your kayak across the beach to the clear cool Pacific. You step around the sleeping sea lions and put your boat in the water. You paddle four miles past the local fishermen, the silent cruise ships, the lava rocks, the barren landscape, heading north along the coast of San Cristobal Island. 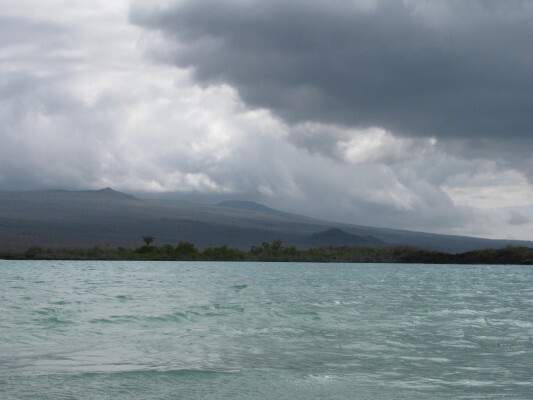 A motor boat collects you and speeds toward a small island populated by sea lions and marine iguanas, the latter endemic to the Galapagos. 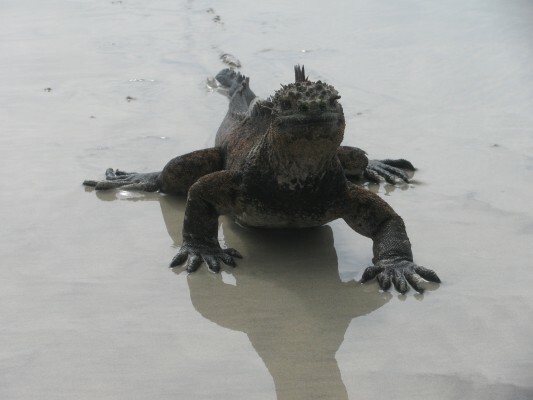 You squeeze into your wetsuit, don your snorkeling gear and jump into the bracing ocean. There, you swim with the sea lions. They chase one another playfully, dodging around you. The tropical fish are colorful, beautiful. Next, you motor to a secluded beach, empty, pristine. You see mangroves, some a tumble of dead wood caused by the tsunami that arrived 14 hours after the recent earthquake in Japan. You walk the white sand and marvel at the dramatic sky filled with great rolling white and grey clouds. 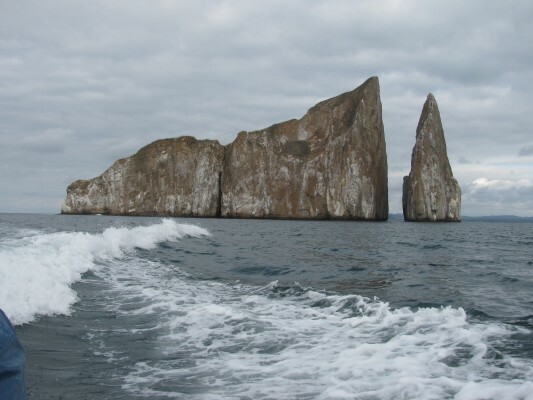 Afterwards, the boat takes you six miles out to Kicker Rock, an imposing vertical wall rising 300 feet above you, made of lava ash. It is cleaved in two. You prepare to snorkel once again but this will be unlike any other snorkeling experience you’ve had. The water is 100 feet deep, a dark emerald in color. You swim between the two parts of the wall only 30 feet separating them. And them you see them, the long sleek bodies of the Galapagos Sharks, the huge expanses of the Spotted Eagle Rays, the enormous shells of the green sea turtles, swimming slowly below you. You see thousands of fish being tossed by the current, you feel the stinging of tiny jelly fish on your bare legs. You see the walls of Kicker Rock going endlessly down covered in coral, starfish and other living creatures. When you get back in the boat, chilly and contemplating this wondrous day, you think there is not another thing that could make this day more special. But then the crew call out “dolphins”, and you rush to the front of the boat in time to see a pod of Bottlenose Dolphins, 50 to 60 strong swimming alongside. 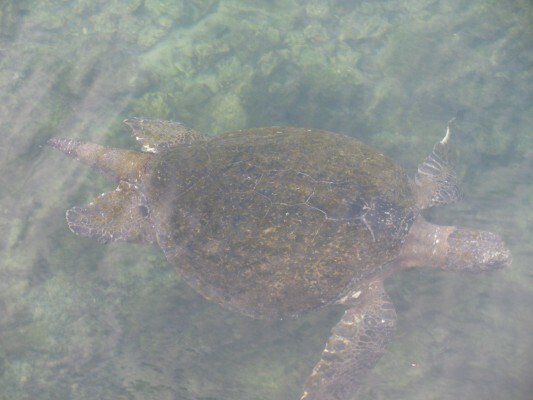 They stay with you for half an hour, gracefully moving under and over the water as if they are traveling together with you on the same journey.